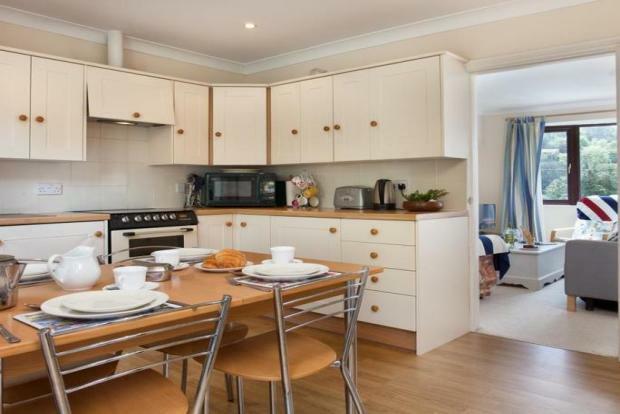 2 Bedroom House To Rent in Totnes for £825 per Calendar Month. NO TENANT FEES ON THIS PROPERTY Enjoying views over the River Dart, this two bedroom pet friendly cottage with courtyard is available from September. Village Charm and Mill Pool Views! Situated in an area of outstanding natural beautiful with breath taking views across the Mill Pool and River Dart, this idyllic holiday cottage provides an utterly charming way to live. The cottage is reached by aflight of steps, parking space directly in front of the property. Living Room with far reaching views of the river. Master Bedroom with of the tranquil Mill Pond and across to the River Dart in the distance. Second Bedroom to the first floor.